Blade height (at heel): 4.50 in. 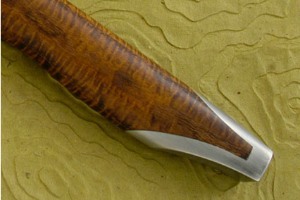 Blade thickness (near bolster): 0.54 in. 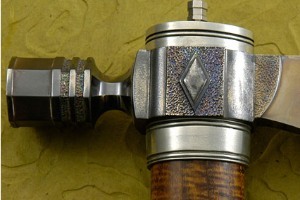 The head was hand forged from solid titanium. 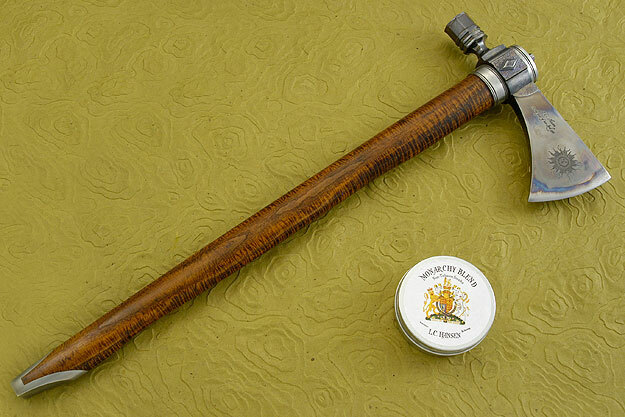 This keeps the hawk light and nimble. The head is heat colored for an heirloom appearance. 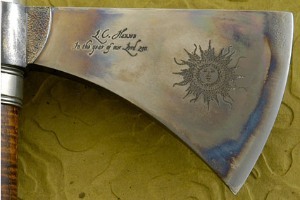 The right side of the head features an engraved sun design and is inscribed: "L.C. 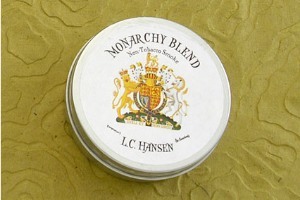 Hansen / In the year of our Lord 2011". The octagon bowl is sculpted and textured, moving into an octagonal neck. 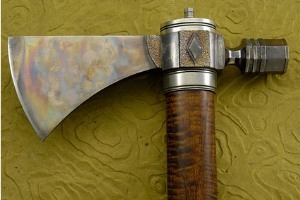 The top and bottom edges of the blade are textured to match the diamond carved flats. 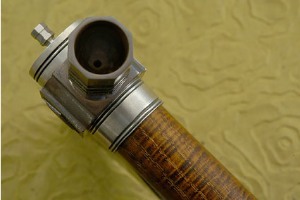 A removable threaded titanium plug is easily removed for cleaning the titanium tube that moves through the haft. 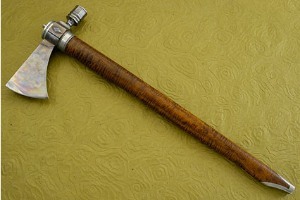 The haft is formed from presentation grade curly ash wood. 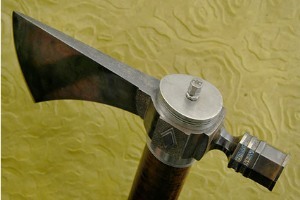 The head measures 8-1/4 inches from cutting edge to the end of the bowl. The cutting edge is 3-1/4 inches long. 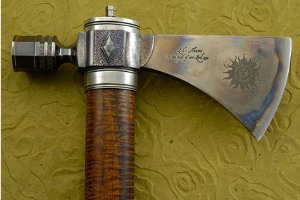 The haft measures 22 inches overall and is finished with a pewter collar and end caps. Exceptional work throughout.